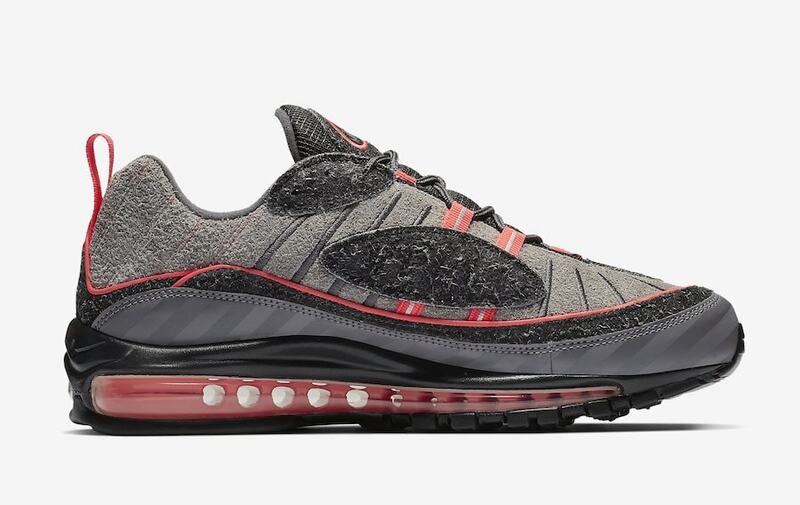 The Air Max 98 is back for 2019. Despite lackluster release efforts later in 2018, the shoes 20th anniversary, Nike is bringing the classic silhouette back. Check out the sleek new Air Max 98, a part of the I-95 pack. Nike’s Air Max 98 has returned to the delight of sneakerheads everywhere. Heavily layered and covered in different textures and striking pieces, the 98 has garnered a cult following over the years due to its sleek yet aggressive look. After celebrating its twentieth-anniversary last year, the AM98 releases continue, starting with the new “I-95” pack. 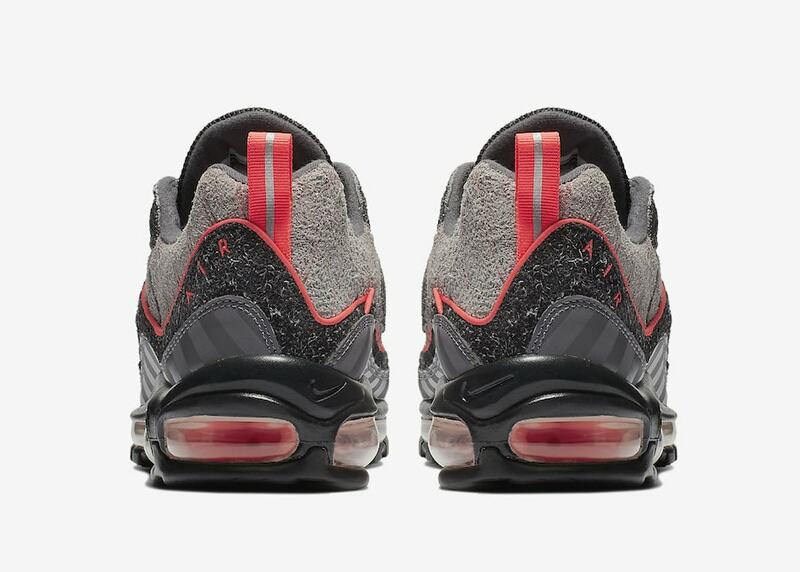 The new look is a great new style for the chunky Air Max, starting with a grey suede base for the upper. The wavy layers around the shoe come in black and deep grey, as well as a black tongue and suede overlays. 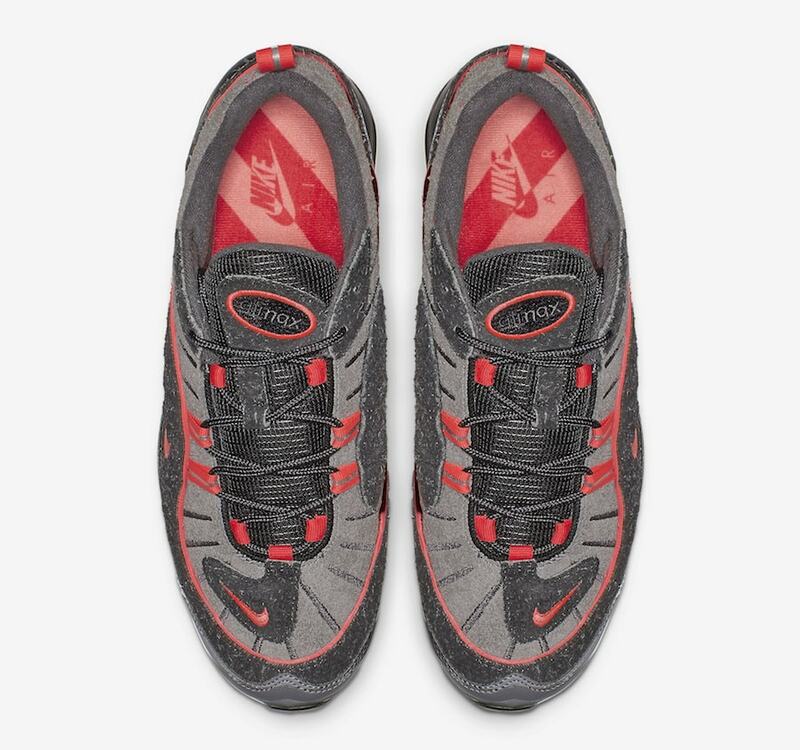 The shoe’s 3M trim and Swoosh branding all come in a vibrant Lava Glow red, including the famous airbag underfoot. 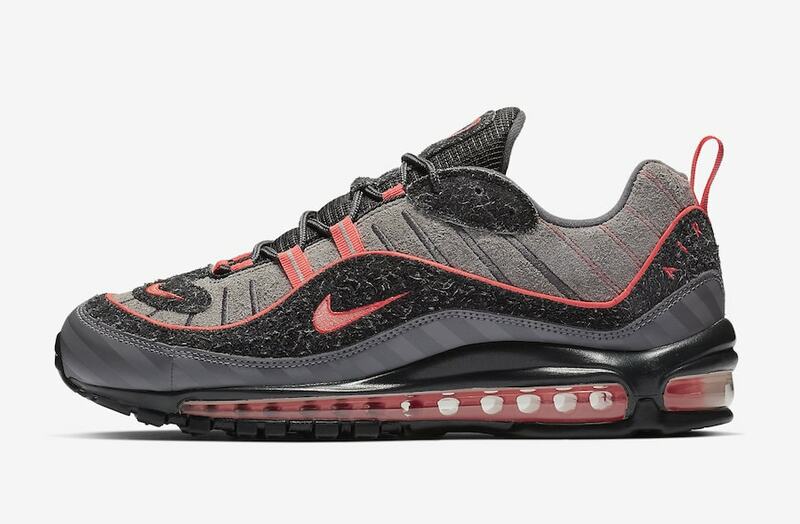 The next new Nike Air Max 98 colorway will arrive in stores on May 10th, 2018. The “Racer Blue” look will retail for the standard $160 from both Nike SNKRS and select retailers. Check out the official images below for a closer look, and stay tuned to JustFreshKicks for more Nike Air Max release dates. The post Nike’s Air Max 98 Returns for the I-95 Pack Next Week appeared first on JustFreshKicks.